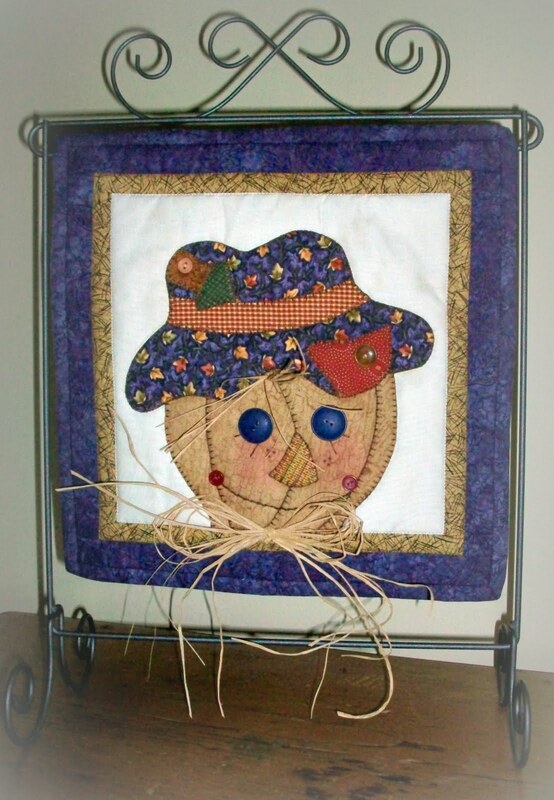 I designed this little "scarecrow" hangup, but have not had a chance to get the pattern pack together. Guess I should with fall just around the corner. He's designed to hang in the 12X 14 frame from Ackfeld. It's very versatile and so nice to change up monthly or as the seasons change. I like these as they are quick projects to do and you can use up lots of your "little" stash to complete them. He is soooo cute. I love him.